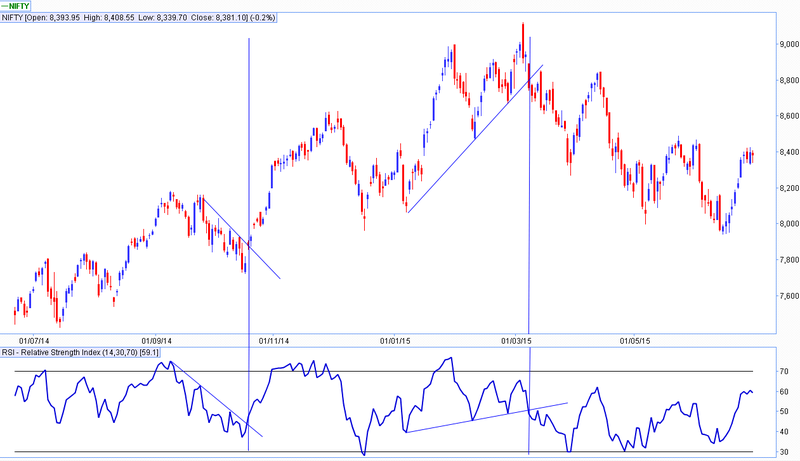 Most of us are familiar with RSI and we know the use of this indicator. Majority use it in the following way. 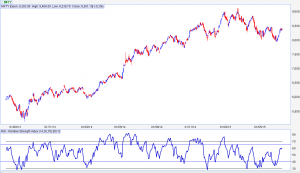 RSI is used as an overbought and oversold indicator where investors look to sell when the financial instrument enters overbought zone and keep a watch for buying opportunities when the readings of the indicator are in oversold zone. This indicator is used to find swing failures at extreme readings. In simple language we use the word ‘divergences’ which is familiar to most of us. But we are going to discuss this indicator in different way which will allow us to look at this indicator in totally new way. Trendline breakouts in price confirming with the trendline breakouts in the indicator. Whenever this happens there is high probability for the prices to break their previous trend and reverse. The reversal in price is getting confirmed with trendline breaks in the indicator. The indicator defines a particular range when prices are in bull market or in a bear market. The indicator hovers in the range of 40 to 80. It doesn’t break the lower boundary of 40 every time it falls from the upper boundary of 80 when prices are in uptrend or in bull market. The indicator gets resistance at the upper boundary of 55 to 65. 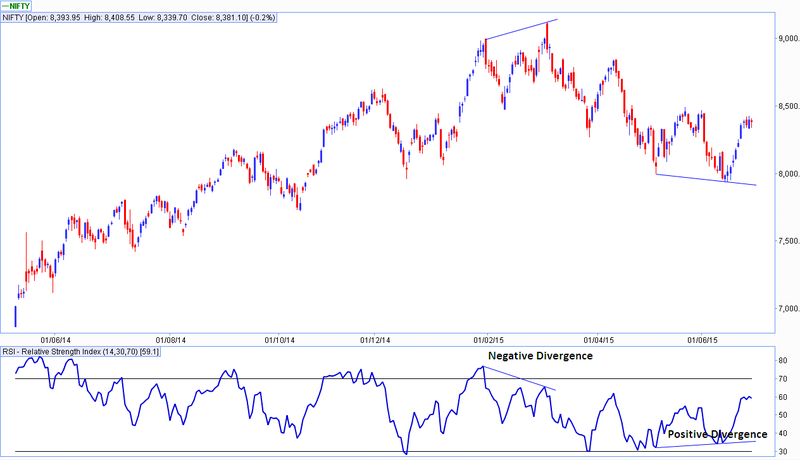 It resists near 55-65 range whenever it bounces from the oversold zone of below 30. These boundaries in the indicator define bear market in the prices. 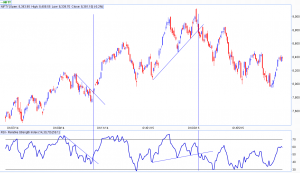 When the prices were in bull market during the period of March 2014 to December 2014, RSI never went below 40 levels except a minor break in October 2014 but that adjustment we need to make as Technical Analysis is not a science but an art. 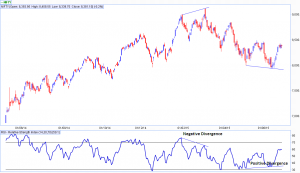 When RSI readings break below 40 and also go below 30 in December 2014, we get a warning about the bull market being in danger. 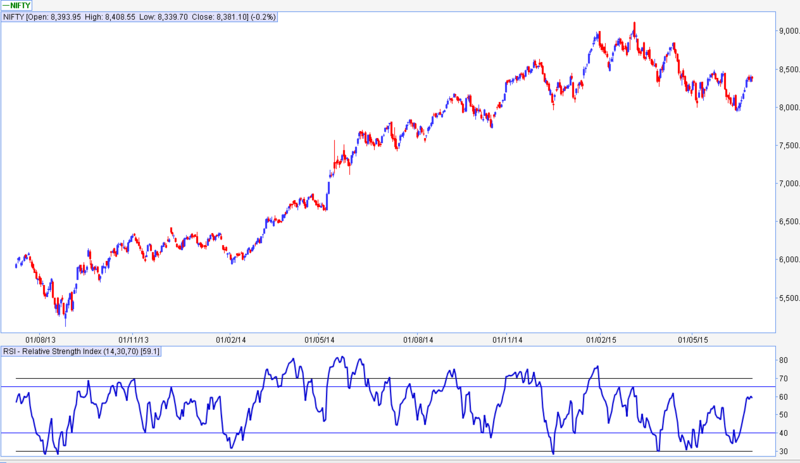 But the confirmation of bear market came when RSI after touching 30 levels never crossed 65 level in March 2015.